Do you have what it takes to be a true storybook villain? 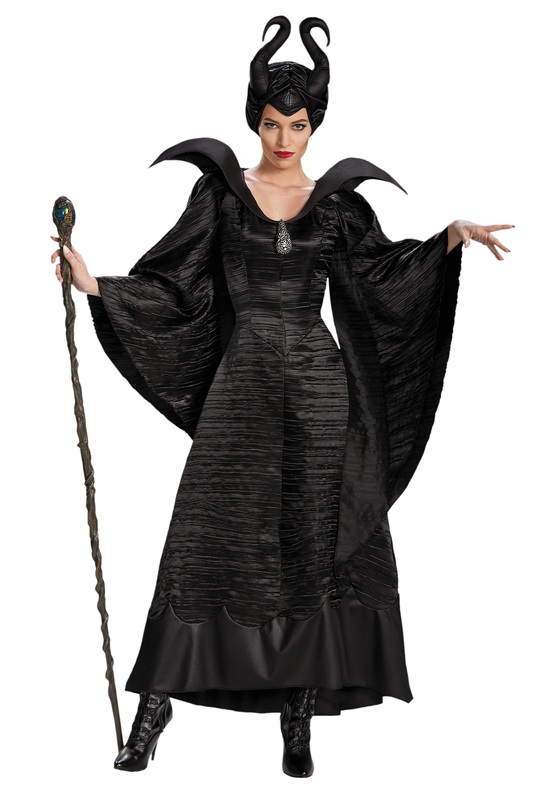 You'll need a wicked wardrobe with a wicked sounding name to match, and you can't get any more wicked than Maleficent. 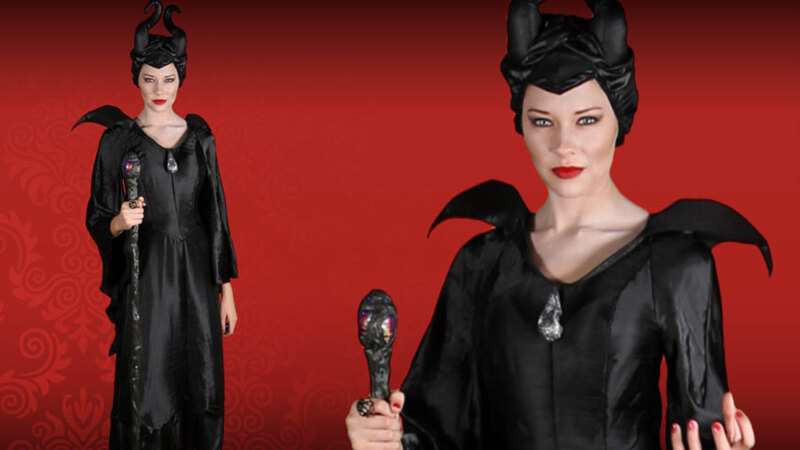 Dressing up in this Deluxe Maleficent Christening Black Gown Costume will give you a darkly mystical makeover! This classic fairy tale bad girl has been around for quite a while, tormenting Sleeping Beauty and turning into dragons and such. Though, in the hit Disney live action film Maleficent, it's revealed that she wasn't always so sinister. At one time, she was just a good-natured fairy who spent her days flying around and protecting her magical homeland. But anyone who's heard these types of tales before knows things don't stay so peaceful forever, and thanks to the betrayal of a future king, Maleficent transformed from a friendly woodland fairy into a dark (and understandably ticked off) sorceress! Her style undergoes a stark transformation, too, when she shows up to a christening in a fierce black gown, to place a curse on the king's new daughter, because when it comes to payback, fairies don't play around.